Yo! One of the most litty times of year has arrived. The NBA trade deadline! Thursday, February 7th @ 3:00pm ET is the deadline. Here I will be posting the trades as they happen and giving my immediate thoughts on what those deals do for fantasy values, both current and dynasty outlooks. So, if you’re addicted to the NBA and fantasy hoops, stay locked on this spot through tomorrow’s deadline. I covered this on Twitter and in my recent Dynasty Fix 1.0, but it is VERY important to know who on your team is your first and second drops. If a trade goes down that makes a player on the wire see immediate value, you don’t want to be sitting there figuring out who to cut for him. Figure it all out now so that someone doesn’t beat you to the punch. If you have weekly transactions limits, tread lightly, but do what you gotta do. This one cam out of nowhere last week, and it really shocked the world a bit. We had just heard Porzingis notified the Knicks that he wanted to be traded and that if they didn’t, that he would accept his qualifying offer this summer to make himself an unrestricted free agent in the 2020 summer. I figured the Knicks would be patient still, but they didn’t hesitate a minute. Apparently they made a few calls to see if teams wanted Porzingis and were willing to take on the bad contracts of THJ and Lee, and the Mavs were the first/only team to step up. 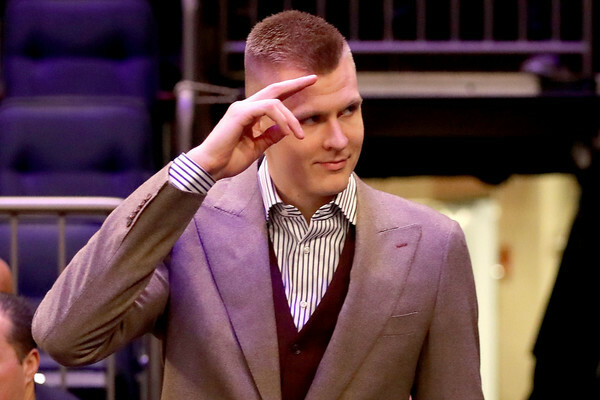 Mavs Fantasy Outlook: It’s a neutral move for Kristaps Porzingis. He’s just got to get healthy. I think he and Luka Doncic will play incredibly well together. As for Tim Hardaway Jr., he should start for Dallas at the two and for now see about the same amount of playing time, less usage once Zinger is a go. Trey Burke may become their temporary starting PG, but I honestly feel like Luka is going to be the true ball handler and distributor going forward. Harrison Barnes could be traded, but if not, he drops another peg on the relevancy scale when Staps is active. Barnes isn’t a fantasy player I even acknowledge really. Points, threes and good FT%, bad FG% is all he’s got. I’d just assume stream the roster spot. Knicks Fantasy Outlook: Well, Dennis Smith Jr. wanted out of Dallas and he got his wish. DSJ went from a 30% USG rate his rookie year to 23% this season with the addition of Doncic, but in New York, he should be handed the reigns to run the show again. Look for around 30mpg with averages around 16ppg, 4rpg, 5.5apg, 1spg, 1.5 treys with subpar FG% and an undesirable 70% from the stripe. DeAndre Jordan does what he does, wherever he goes. Alley-oops for low point double-doubles with one block, poor FT%. You watch him after the Lob City days and he just doesn’t look like he cares anymore. I truly hope they cut DAJ so that Mitchell Robinson can take over the rest of their tanking season. Hoping the Knicks continue to give Kevin Knox as many minutes as he can handle. As a rookie, he’ll have ups and downs, but it’s big for him to get the work in. Wesley Matthews is another buyout candidate like Jordan, but for now he’ll stay around the same as he was in Dallas, not a factor. Rookie Allonzo Trier would see a nice bump in minutes and usage if the Knicks cut Matthews. Nothing to see here, move along. Seriously. Blazers Fantasy Outlook: Likely about the same. Rodney Hood will compete with Maurice Harkless, Seth Curry and Evan Turner for backup minutes. None are really fantasy relevant in standard leagues, short nor long term. I really am just hoping the Blazers don’t stop giving Jake Layman playing time, because he’s really stood out recently. Jake’s posted 13ppg, 6rpg, 2apg, 0.8bpg and 51% FG over the last two weeks playing 27mpg. He’s one to keep an eye on in 14+ dynasty teams for now. Cavs Fantasy Outlook: I’d be surprised if there’s not more moves coming by the Cavs, but for now with Hood gone, look for David Nwaba to start, but he’s more than likely only going to be a deeper league add for now. Alec Burks is going to continue to get plenty of minutes if he’s not also moved. He could potentially be one of those garbage team producers, but will only provide consistently in points and threes. The Lakers need players ready to produce now more so than later. Svi could end up being a good player, but he’s not as NBA ready as Bullock is. Lakers Fantasy Outlook: Lakers get a really good shooter for LeBron James and Rajon Rondo to kick out to in Reggie Bullock. Unless the Lakers pull of a pre-deadline deal for Anthony Davis, Bullock is almost certain to play less than he was in Detroit. He’ll still have some good scoring and 3-pointer nights, but will be more a streamer than a hold. We’ll see what L.A. does between now and Thursday afternoon. Lance Stephenson will see some of his p/t slide to Reggie, possibly KCP, too. This blockbuster struck in the middle of the night. Was not what I was expecting to wake up to on the eve of trade deadline day. Zach Lowe mentioned on his pod that the Clips could and should consider trading Tobias, and boom, there it is. Nobody saw Philly coming though! Sixers Trade Outlook: I apologize to whoever tweeted this stat, I can’t find it again, but I read that Tobias Harris has the lowest USG rate (23.6%) of any player averaging 20+ PPG this season. So, we know he’s efficient with his touches, but how will he do it surrounded by Ben Simmons 22.2%, Joel Embiid 33.4% and Jimmy Butler 22.8%? Harris will hurt JJ Redick’s USG, but odds are, Tobias and JJ become the lethal kick out duo for Simmons and Embiid. It’s hard to imagine Harris keeping up his current numbers, but with the good looks he’ll get, he can still average 15 PPG, 5.5rpg, 2apg and possibly increase his treys to closer to three made per game. Redick who sports a 22.5% USG himself, is likely to become less consistent, but if you own him, it’s really for his consistency in PTS, 3s, %s. Points likely more like 13ppg, with games of nine and games of 18 mixed throughout, still around three triples. It’s going to be very interesting to see how the stats get split, especially between Butler, Harris and Redick. Clippers Fantasy Outlook: Clippers waved the white flag on this season by dealing Tobias, so look for another move for them. Maybe trading away Patrick Beverley? Anyways, you have to think this opens the door for Lou Williams to go full hulk mode the rest of the way. While a Bev trade would seal it, I’d be shocked if we didn’t see a lot more of rookie Shai Gilgeous-Alexander down the stretch. He’ll be a roller coaster if so, but I’d project SGA being top-80 down the stretch if he plays 30mpg. Landry Shamet is a rookie that I scouted closely the past week or so as I contemplated a 30-team dynasty trade offer, and I was really into what I saw. He’s got game, but I didn’t see him being much for standard leagues in Philly. With LAC, he has a slight shot to become relevant in 14+ leagues if Beverley is traded away, but to be honest, we haven’t seen enough of him not on a team of studs to know how he’ll do in other stats at this level. Shamet is shooting 43% from behind the arc in 2019, so that’s one area I’m not unsure of. Could he be an Evan Fournier type by next season? May be a reach, but I’m going to keep watching him closely. Both players needed a change of scenery. Thon had asked to be traded to a team that he’d get more playing time. Pistons Fantasy Outlook: He wanted more minutes, well, Thon Maker shouldn’t see a lot of minutes backing up Andre Drummond, but more than he was getting for the Bucks. Thon should pretty shortly take the role of Zaza Pachulia. Thon is only an add in 20+ team dynasty leagues at this point, but I’m glad he’s getting a little more of a chance in D-town. More importantly, the Pistons dealt another wing! This makes Luke Kennard an add in 12-team leagues for me. Small sample size but in 7 games this season that he’s played over 25mpg, Kennard has averaged 14.8ppg – 4.4rpg – 2.1apg – 2.4 treys. Unless the Pistons make another move to bring in another winger, Luke will get a ton of minutes and Svi should at least see 10mpg out of the gate. Langston Galloway is also in line for a bump in minutes. His p/t has been all over the place, but when he’s gotten time, he’s contributed fairly well. He’s a speculative add in 14+ teamers for moment. 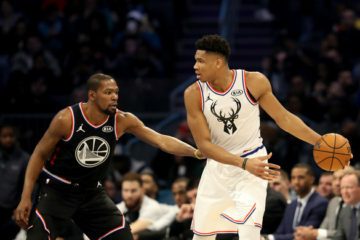 Bucks Fantasy Outlook: With the addition of Stanley Johnson the Bucks get a physical defender who hasn’t been efficient at all on offense. Will be watching how Mike Budenholzer uses him and potentially makes him more useful on O. For those holding Tony Snell in deep leagues, this was awful news for him. With Thon gone, this is the Bucks saying they have faith in DJ Wilson to step up and play more backup minutes and to stretch the floor. Wilson has hit over a trey and one block per game the last month in just 19 minutes. 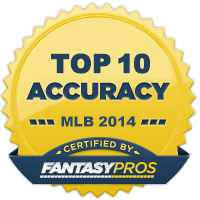 He’s a deep dynasty league player to watch, even add in 18+, depending roster size. This one was all about the Heat trying to get under the luxury tax line, which they basically did. Cap Wizard Albert Nahmad sums that up in this tweet. Suns Fantasy Outlook: The Suns get a decent guard in Tyler Johnson, but he’s not the answer for them at point guard. He’s actually more of a SG, but he’s going to run the point for the Suns the rest of the way unless they bring in another by the deadline. TJ is worth adding in all formats, because he’s almost sure to get around 30mpg while dishing the ball off to the likes of Devin Booker and DeAndre Ayton. Johnson should be able to at minimum match his 2016-17 season with the Heat where he played 30mpg while averaging 13.7ppg, 4rpg, 3.2apg, 1.2spg, 1.3 treys and he’s on pace to avg 0.5 blocks for the third straight season. My quick personal projection was 13ppg, 3.5rpg, 4.5apg, 1.1spg, 1.5 treys with 43% shooting. He’s been a good FT shooter the past three seasons but sits at under 70% this year. A more cemented role should settle him down and get him back to at least 75% with the Suns. If you were holding out hope with De’Anthony Melton or Elie Okobo, you can drop them now (minus deep dynasty leagues). Booker has been averaging just south of 7apg, and that could take a minor drop to around 5apg if TJ holds things down. He’s obviously still a stud. It sounds like Wayne Ellington may be bought out, which is surprising because he’s actually a pretty good player. The Suns have to keep letting their young wings get p/t though, so in that sense, I get it. Maybe he’s dealt? Miami Heat Outlook: You never truly know what the rotation will look like game-to-game for Spoelstra, but pending another move, Josh Richardson and Justise Winslow should continue running things and seeing decent assist numbers, until Goran Dragic comes back healthy. Dion Waiters has seen his minutes change drastically nightly, but for now should consistently play 25mpg unless Spo just dgaf and wants to keep trolling Dion after his frustrated comments about his lack of p/t. Dwyane Wade should be locked into the same track he has been all season of his farewell season, and Rodney McGruder will likely be back in the rotation. Find it hard to believe that Ryan Anderson would play much. The Wizards had no plans to trade Bradley Beal nor Otto Porter, but after John Wall injured himself worse and it became known he may miss all of next season also, they changed directions. Jabari is a team option this summer and Portis will be a RFA. The Bulls get a slightly overpaid, but really good player to fit their young core in Otto. I like the deal for both. Wizards Fantasy Outlook: It’s still going to be the Bradley Beal show in Washington. Jabari Parker should step right into a big role, likely starting at PF for the Wiz. They need scorers, and that’s one thing Jabari can do. I have him at 17ppg, 6rpg, 2.5apg, 1spg, 1.3 treys and a strong FG%, 74% FT in 31mpg. Bobby Portis takes a hit in fantasy value, but watch and see if the Wizards make any more big man trades clearing a better path for BP. As is, he likely logs around 24mpg. Maybe wait and see here, but if a hot wire add comes up in standard sized leagues, I wouldn’t be afraid to cut him. 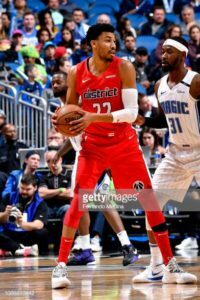 Bulls Fantasy Outlook: FREE OTTO PORTER! That’s what I’m hoping for. He’s barely played 30mpg for the Bulls this season, and I think both a few extra minutes played and a change of scenery will be good news for the fantasy GMs owning Porter. Otto will be a primary USG guy along with Zach LaVine and Lauri Markkanen. If you made the mistake of drafting Porter due to his playoff schedule with the Wiz, you learned why you don’t draft according to playoff games. If you traded for him recently due to the same reason, you learned why it’s better to wait until after the deadline to make such moves. Either way, he’s still going to be good for you down the stretch. The arrival of Porter shuts down anyone who had hopes for a Chandler Hutchinson second half breakout. The Bulls are still out in rumors, so there’s still a chance this situation changes up again. The Rockets were needing to rid of Brandon Knight’s contract since he rarely plays. They had to give up a 1st round pick to get it done, too. The Cavs have to be thrilled to get a 1st round pick for Burks, and the Kings get another potential playoff push bench piece. Rockets Fantasy Outlook: The Rockets have needed another defensive wing. They’ve missed Ariza more than they likely thought they would, and Iman Shumpert fills that void reasonably well. Nothing really changes for the Rockets aside from Shumpert eating up most of the minutes formerly given to Gerald Green. 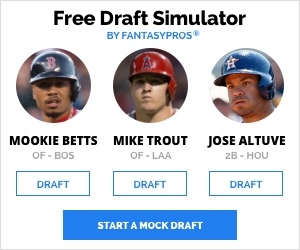 No fantasy shake up. Cavs Fantasy Outlook: Spoke earlier in this column about the Cavs being a mess and that Burks could be traded, and here we are. This roster is currently the definition of a dumpster fire. Look for Collin Sexton, Jordan Clarkson and Cedi Osman to dominate USG, especially until Kevin Love is back. Marquese Chriss will never get anywhere near the fantasy hopes we had for him. Thought he’d step up when Capela went down in Houston, nope. He’ll get some minutes while Tristan Thompson and Love miss time, but he’s not an add anywhere but the deepest of leagues. As for Brandon Knight, it’s a wait-and-see approach. I would say he’s not going to play much, if any, but the Cavs are so bad and depleted at the moment that he may get a shot early on. Kings Fantasy Outlook: The Kings are looking to make a run for the 8-seed, and that path got easier when the Clippers traded Tobias. They wanted some upgrades and landing Alec Burks is a good bench scoring addition. At this moment Burks was going to take all on Shump’s minutes, but that’s about to change, so I’ll wait for further analysis. The Kings wanted playoff push help, and while they didn’t get Otto, they still upgraded from Shumpert to Barnes. The Mavs rid of the Barnes contract and almost can afford another max contract this summer. Kings Fantasy Outlook: Well, Shumpert was playing anywhere from 28-35 minutes for the Kings before being traded, and now those starter minutes will go to new addition, Harrison Barnes. As Josh Eberley tweeted, there’s 39 players who shoot 6+ 3-pointers on the year and Barnes ranks fifth out of those in 3P% at 39%. While I’m not a huge fan of his game for fantasy, because he’s really just a points/3s guy, he’s a nice real life add to the Kings arsenal beside De’Aaron Fox and Buddy Hield. Barnes will play at the 3 and 4, and after initially thinking this could be bad news for Bogdan Bogdanovic owners, I now see that his role shouldn’t really change much. That said, when Shump was dealt, his role was going to shoot up big, so there’s a little letdown with this trade. Alec Burks probably won’t see enough playing time to be fantasy relevant now. Mavs Fantasy Outlook: With Barnes out of town, look for Luka Doncic and Tim Hardaway Jr. to be the do-all guys until Kristaps is active. Maxi Kleber will continue to get minutes in the high-20s as the team sits currently (with ZBo likely being bought out), but I don’t have confidence in Kleber being consistent enough to be a standard league must own, especially with Zinger lingering. Deeper rosters, sure, use him until he fizzles. Pelicans just gaining a body for when they trade Julius Randle and/or Nikola Mirotic? This trade is mostly irrelevant. Pelicans Fantasy Outlook: No change. Wizards Fantasy Outlook: No change. This deal was actually combined with the above Thon Maker deal. Pelicans were always going to move Mirotic today, four picks is crazy. Bucks Fantasy Outlook: This is a great flip by the Bucks to go from Thon to Nikola Mirotic before their playoff run. The Bucks shoot a ton of 3-pointers, so why not have a guy like Mirotic as your backup big man? That said, this may not have been the best spot for his fantasy value, but it’s not awful news either. For Ersan Ilyasova and my boy DJ Wilson however, it’s a big dent. Nikola should keep hitting 2-3 treys a game, score at least close to his same 15ppg. Tony Snell returns to his same value with Stanley Johnson out of town already. Pelicans Fantasy Outlook: Well, while still unsure if he can put it all together, Stanley Johnson gets an even better new home now. Not sure if he’ll start, but he should get plenty of minutes in their rotation either way. SJ just is so inefficient that I’m still not adding him in normal size leagues. I hope the Pels keep letting Kenrich Williams see the floor though, he’d been a pleasant surprise recently. Is Julius Randle next to go? 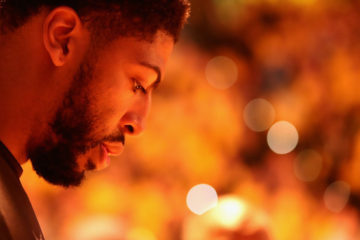 Will they deal Anthony Davis before 3:00pm ET?? Stay tuned. Clippers Fantasy Outlook: I’d like to think JaMychal Green can get minutes over Wilson Chandler. Not sure if he’s quite a standard league own, but he’s definitely got a shot. Garrett Temple will like take most of the minutes left by Avery Bradley, some may sprinkle to SGA and Shamet. With the Clippers done dealing, Shai Gilgeous-Alexander will play a lot down the stretch. Grizz Fantasy Outlook: We’d all have to agree that Avery Bradley was made for Memphis right? He’ll stay about the same USG-wise in his new home. WHOA BABY! The Sixers get Tobias, the Bucks get Mirotic and now the Raptors get Gasol without giving up OG or Siakam, the East is HOT. Raptors Fantasy Outlook: It’s really hard to say how the Raptors will do this. I’m guessing Pascal Siakam continues to start at PF, Marc Gasol becomes the starting C and Serge Ibaka is their sixth man. Gasol has a well-rounded game, so he will stick inside the top-50. You have to think this hurts Siakam and Ibaka a little bit, Ibaka more than Siakam. Ibaka isn’t hitting threes like he used to, his blocks will lessen with less minutes, but he’s not a drop yet. Grizz Fantasy Outlook: The guy I am stashing right away is Delon Wright. Wright has a shot to start IF the Grizzlies trade Mike Conley next and someone like Ricky Rubio doesn’t come back. Delon would be a must own everywhere if he was a starter. Pending the following deals Memphis may make, Jonas Valanciunas should be owned as he’s ready to play and will start. Ivan Rabb is one we’ve all been watching, and with Green and Gasol gone, he should see a solid boost in p/t, borderline 12-team guy as it stands. What they get for Conley will decide more. Jaren Jackson Jr. is all the way freed. Clippers Fantasy Outlook: The Clippers cut Marcin Gortat and minutes later we find out they traded for Ivica Zubac. By all indications, I’d think that Zu is now the starting center for the Clipps, or he’ll at least get a lot of minutes. I think Zubac needs to be owned. They will waive Michael Beasley. Lakers Fantasy Outlook: Nothing really to see here aside from them clearing a roster spot for likely Carmelo Anthony (LMAOOOO). Mike Conley is staying put in Memphis. This crushes hopes for Delon Wright having must-own status. That said, still watch Wright, because Shelvin Mack is gone now and Delon is possibly the sixth man, which he could make himself worthy, but for now he’s not must-own outside of 14+ leagues. FUUUUULLLLLTTTTZZZZZZZ!!!! If you follow me on Twitter, you know exactly how happy I am right now. I’ve begged for Fultz and we got him cheaper than expected. Low risk, high reward play for Orlando. Magic Fantasy Outlook: There’s likely no relevance for the Magic this season. We’ve had no indication that Markelle Fultz will be able to return this season, but I guess we’ll learn more soon. Regardless, Orlando is a perfect home for Fultz if he can get his shoulder right. They’ve been dying for a legit starting PG, so his dynasty value is hinging on his health, but increased from what it would have been healthy in Philly. Simmons didn’t play much, the Magic didn’t trade Nikola Vucevic or Terrence Ross, so the rotation likely stays the same. Both those guys are free agents this summer, so we’ll see if the Magic just lost them for nothing. 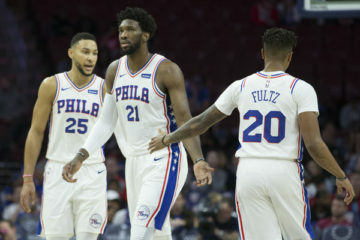 Sixers Fantasy Outlook: I can’t believe the Sixers didn’t get Ross or an Orlando 1st back, this had to sting, but they needed depth right now, so they took the presumed best deal. Jonathan Simmons likely won’t see much playing time nor affect their previous fantasy values. Nets Fantasy Outlook: This could take some minutes from Ed Davis and Rondae Hollis-Jefferson, but overall, nothing to see here. There’s a fairly loaded set of bought out players, and the contenders know it. Where those players land could shake things up for any given roster, so keep your eyes on that. Players like Wesley Johnson (rumored to Pacers), Wayne Ellington (Pistons want him badly), Enes Kanter, Marcin Gortat, Robin Lopez and Zach Randolph to name a few. I’ll add more analysis after these players find new homes.